The plan by Sens. Bill Cassidy of Louisiana and Susan Collins of Maine would retreat from years of GOP cries to repeal Obama’s law and replace it with a still undefined Republican alternative. 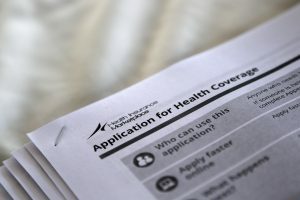 It comes as GOP lawmakers face pressure from President Donald Trump to quickly void and replace the health law and as Republicans continue hunting for a proposal that would unite them. “It has been a Republican principle that power is best held by individuals and states, not the federal government,” Cassidy told reporters. Trump has said he wants to keep some of the Obama overhaul’s consumer protections, like requiring insurers to cover people with pre-existing medical problems. Collins and Cassidy said their bill preserves many of those. But Trump and congressional GOP leaders have not suggested letting states retain the entire statute. Such a proposal could dismay conservative voters who for years have viewed Republican calls to repeal the law as a top-tier promise and goal. “Ultimately, this proposal is an empty facade that would create chaos — not care — for millions of Americans,” he said. “If you can say to a blue-state senator who’s really invested in supporting Obamacare, you can keep Obamacare but why force it upon us, we think that helps us get to 60,” Cassidy said, using the law’s nickname.